Ice pops with the yumminess of chocolate and the health benefits of sweet potato and the super elixer Nourishing Protein from Welleco – Chocolate flavored Organic sprouted Brown Rice and Pea Protein with raw Peruvian cacao. Skin and slice the sweet potato in cubes. Bring a pot of water to a boil, add sweet potato and cook until soft (approximately 20 minutes). Drain and set aside to cool. Combine sweet potato cubes, coconut milk and the Super Elixer Nourishing Protein Powder in a food processor. You could add a pinch of salt to the mixture to enhance the flavors. Mix until thoroughly combined. 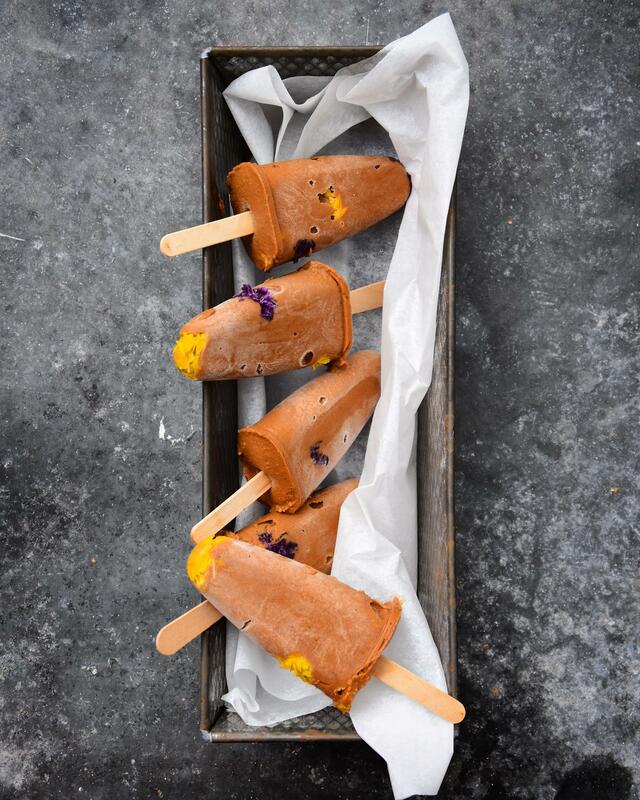 Fill popsicle molds (including wooden ice-cream sticks) with mixture (optionally add edible flowers) and place in freezer for four hours, or until completely frozen.